Love the new cooker, the quality and the way it looks. However, at present the fan oven doesn't seem to reach the temperature it is registering which is disappointing so I will seek advice from supplier. I did a lot of research on this product, some people mentioned puddles of water as result of condensation. I won't say I haven't experienced it as I have on the 5th use however the puddle was the size of a tea bag and it was Sunday roast day and it had been in use for 3 hrs none stop ( large family lol). The preheat is amazingly super fast and we have clearly noticed the difference in end result. Taste, odour, time and fuel usage. I love it, even though cleaning is a arrgghh. Great applience and would recommend it to anyone. Runs like A dream and well built. 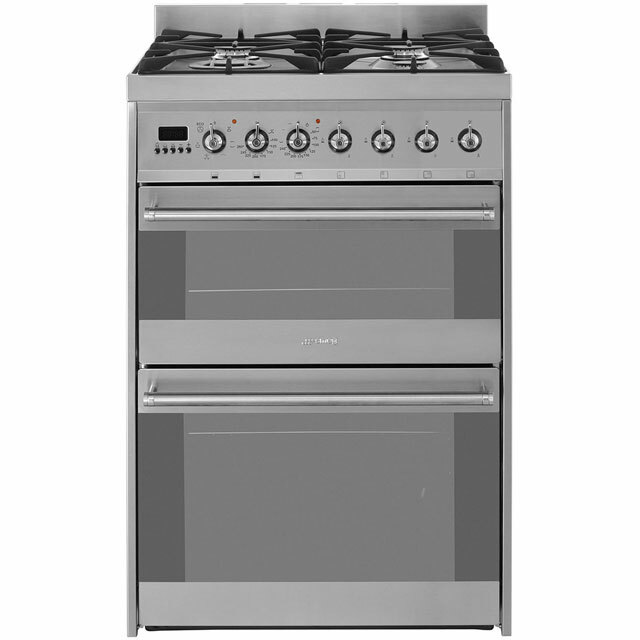 Choose this one because it is only one of a handful of dual fuel cookers that don't have a lid over the gas hob. 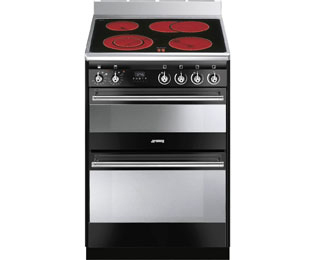 Gas hob is fab although the supplied wok stand and small pan stand tarnish easily, and will not clean. Main oven takes a while to heat up and cooking times are longer probably because it isn't that easy to set the dial accurately to a specific temperature. Main oven only works if you set the time on the clock which is a bit annoying if you switch it off at the wall. Main oven fan remains on for a while even after it is has been switched off to help cool it down quicker, we tend to switch it off at the wall to prevent it consuming anymore power after cooking. Grill only has half or full settings i.e. no temperature setting which means it can be a little fierce even on half setting. Can’t comment on oven cleaning yet, but hob cleans easily with stainless steel cleaner. 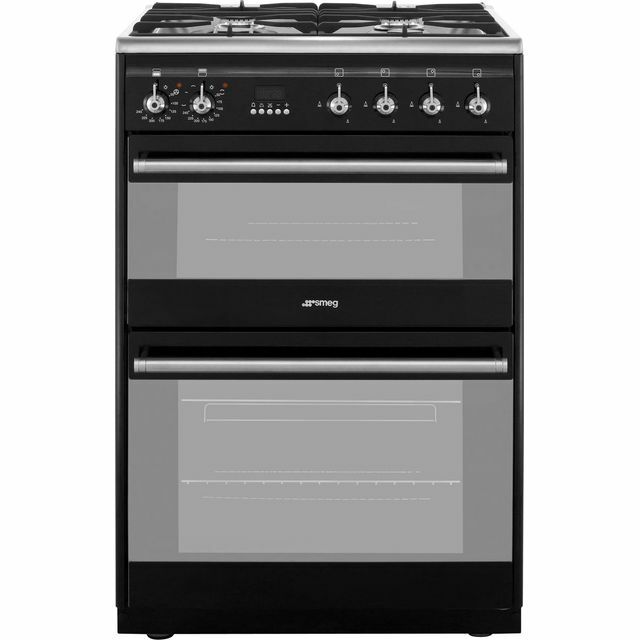 We replaced the old cooker with a black SMEG concert free standing cooker because it has the right width, double oven and cast iron plates (for the burners). Even we are a small family, it is nice to have a nice roast where you can cook all your dishes at once. 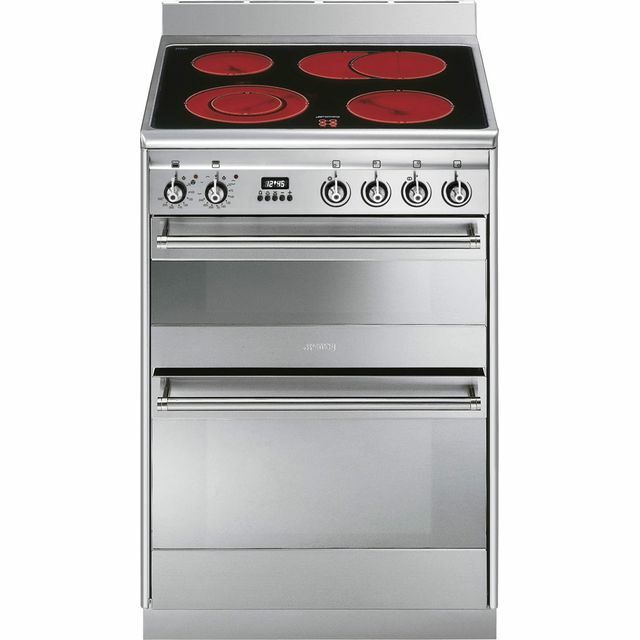 The price seems a bit more expensive than other cooker, however in my opinion it is worth it. Its sleek and smart look adds a touch to our kitchen. So far so good, we are very impressed with the purchase. The instructions for the clock was slightly ambiguous, but eventually we managed to work it out. Also, I would suggest to clean the ovens and all trays with a dump cloth before using them as some metallic dust (from factory) was left. 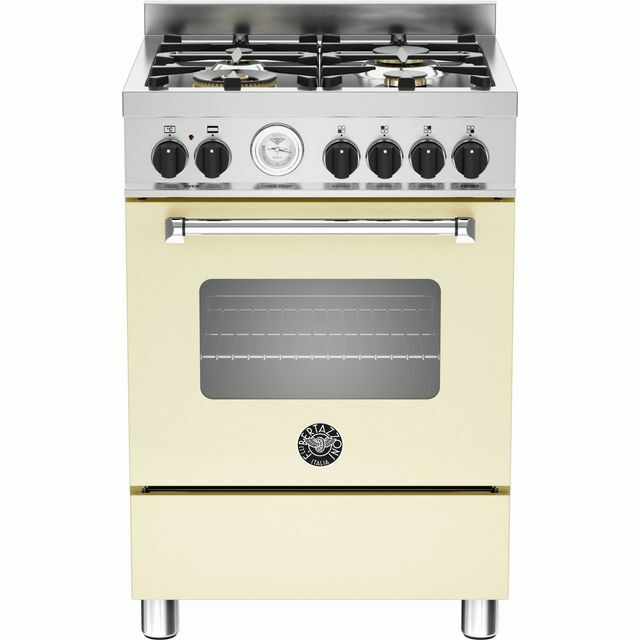 The stainless steel at the top is very good quality so I am hoping that with use it will not deteriorate / leave stains as it usually happens with other appliances.